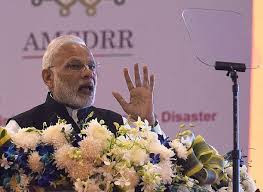 While Japan has a rich experience in dealing with devastating earthquakes, India too has time and again shown strong commitment towards ensuring Disaster Risk Reduction (DRR). India was one of the first to create a National Disaster Management Plan based on the Sendai Framework for Disaster Risk Reduction (SFDRR). The Asian Ministerial Conference on Disaster Risk Reduction (AMCDRR) held in New Delhi in November 2016, saw the adoption of the ‘Asia Regional Plan for Implementation of the Sendai Framework’. During the same, India showed strong commitment towards building resilience with Prime Minister Narendra Modi announcing ten-point agenda, the first point of which, focuses on “working towards disaster resilient infrastructure to ensure that all development projects - airports, roads, canals, hospitals, schools, bridges – are built to appropriate standards and contribute to the resilience of communities they seek to serve." He also emphasized the need of working “...with other partner countries and stakeholders to build a coalition or centre for promoting disaster resilient infrastructure in the region...”. India is destined to see huge infrastructure projects in the coming years. An estimate suggests that India needs about $1.5 trillion investment in the infrastructure sector in the coming 10 years. While this sounds exciting, the challenge lies in building infrastructure that is sustainable and resilient enough to handle extreme weather events. Various international agreements have also reiterated the importance and long-term benefits of investing in resilient infrastructure. The Sendai Framework for Disaster Risk Reduction (SFDRR), 2015-2030, which is the first major agreement of the post-2015 development agenda, identifies investing in DRR for resilience and to build back better in reconstruction as priorities for action towards reducing disaster risks. Similarly, Goal 9 of the Sustainable Development Goals (SDGs) recognizes disaster resilient infrastructure as a crucial driver of economic growth and development. The First two day India-Japan Workshop on Disaster Risk Reduction presented an opportunity to explore as to how Japan invests in making its infrastructure resilient to present and future disaster risks. It also helped understanding recent advancements in Japan in the area of earthquake detection and early warning systems and adapts them to India’s context. Setting the stage for concretization of the activities envisaged under the collaboration on DRR that has existed between India and Japan over a long time, the workshop brought together the best technical know-how from both the countries, with particular focus on earthquake detection and early warning and identified possible areas of cooperation with Japan in the field of DRR. Speaking on the occasion, the Minister of State for Home Affairs, Shri Kiren Rijiju, recollected the seven global targets prescribed in the Sendai Framework for Disaster Risk Reduction and emphasized that these targets cannot be achieved without the active involvement of all stakeholders. “It thus calls for a shift from stand-alone disaster/risk management, to a more holistic risk resilient development practice”, he said. 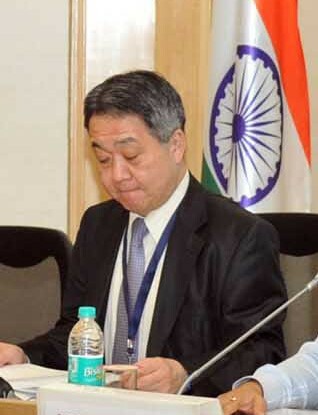 Mr. Mamoru Maekawa, Vice Minister for Policy Coordination in the Cabinet Office, Japan underscored that India and Japan will work together to realize the outcome of the workshop for achieving disaster risk reduction. He invited experts from India to visit Japan and enhance our close partnership in the area. The workshop facilitated knowledge exchange on good practices, lessons learnt and latest technological advancements in the area of disaster risk management. ii) Risk Assessment - How do earthquakes occur? To what extent can these be predicted? Which kind of earthquakes are likely to occur in Japan and India? iii) Disaster Resilient Infrastructure - How does policy respond to strengthen infrastructure, in particular, water-related protective infrastructure? iv) Early Warning System - How does it work? How to communicate early warning to citizens? How does the national government respond following the early warning? v) Preparedness/Response at sub-national level - How do sub-national governments prepare for and respond to earthquakes? How do local communities develop their resilience by planning in advance? vi) Approaches by private sector -What kind of technologies and services can private sector offer to reduce damage and loss by earthquakes? What is the socio-economic impact of those technologies and services? Around 120 delegates from governments of both countries, educational institutes, specialized disaster management agencies, the private sector and civil society organizations participated in the workshop.